Geological sites, local history, and internationally significant marine fossils and rocks are all waiting for you at Vanished World. Pop in to the Vanished World Centre or take a trip along the Vanished World Trail these holidays for a fascinating hands-on experience. 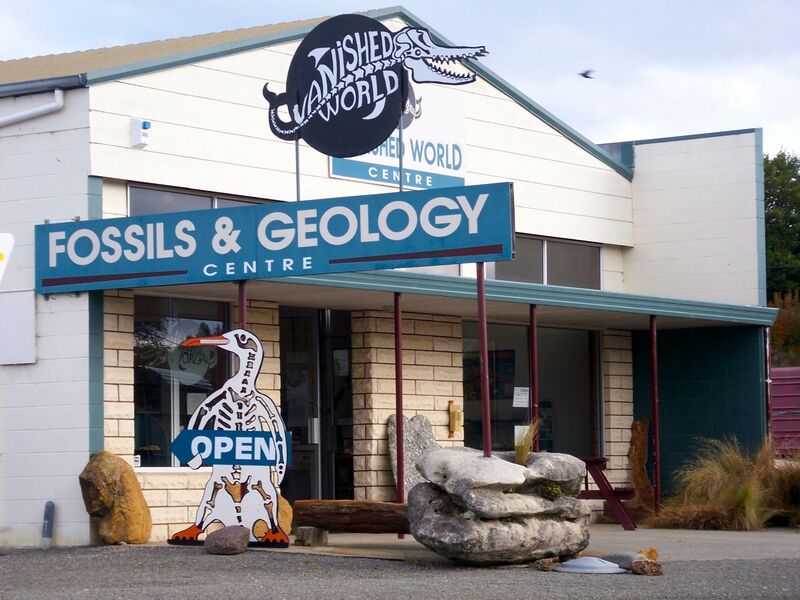 The Vanished World Society was formed in the early 2000s to help raise public awareness of the geology of the Waitaki District. It promotes science, conservation and appropriate use of fossils, outcrops and other landforms, through a process of education, communication and experience. The Waitaki District is renowned for being home to striking and informative features, including fossils, limestone, volcanic sequences and landforms such as Elephant Rocks and Earthquakes. These sites can be explored on the Vanished World Trail. This free self-guided trail covers about 90km from Moeraki to Oamaru and up the Waitaki Valley. The trail includes more than 20 sites related to landforms, distinctive rocks, minerals and fossils on public, private and Department of Conservation land. Sites show skeletons of fossil vertebrates and spectacular limestone outcrops interspersed with fossil fragments which settled on the sea floor some 26 million years ago, including whales, shellfish and penguins. At the heart of the trail sits the Vanished World Centre. Its displays help explain and interpret the fossils, rocks, localities and landforms along the trail. Many displayed items are nationally and internationally significant and have been found locally. A rock room features a wide display of rocks and other local history, gold-mining, coal-mining and local railways, which are now also vanished. Children are specifically catered for. They can spend time in the Dig a Fossil Room, working with limestone fossil blocks to discover their own examples of marine fossil material. Vanished World provides a unique opportunity to look into deep time: to marvel at Earth's mobile surface and discover remnants of an ecosystem which evolved between 20 and 50 million years ago.